1 cu ft. bag fills two, 12-inch wide pots; 2 cu ft. bag fills two, 14-inch wide pots. Since 1954, Western gardeners have trusted SuperSoil Potting Soil to help them grow bigger, more beautiful plants and flowers (vs. unfed plants). 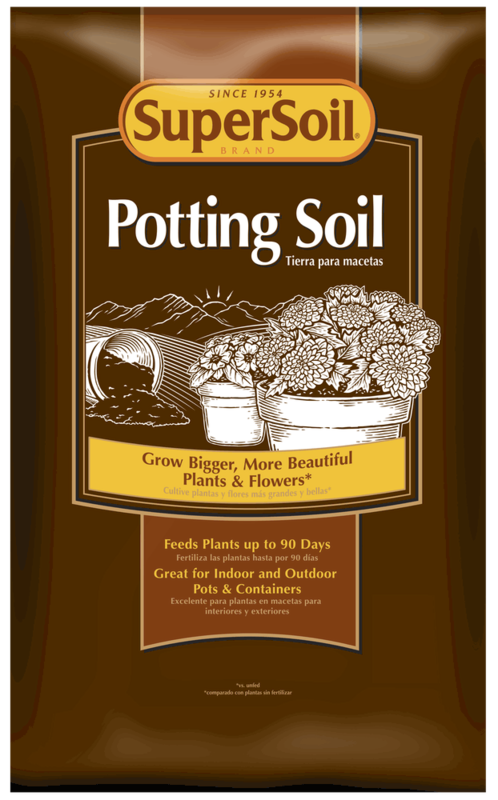 Specifically formulated for indoor and outdoor pots and containers, this mix keeps plants fed for up to 90 days. Available in 1 cu ft. or 2 cu ft. bags. Indoor and outdoor pots and containers.